What is Autoimmune Protocol & How does it help Autoimmune Diseases? Science discoveries continue to revolutionize the medical world and more studies are focusing on the healing properties of food. Food can be powerful medicine. We’ve known it for centuries. And for some diseases it can mean the difference between a vibrant life and a pain-filled one. What if your medication offered no cure and left you with crippling side-effects? This is the reality for millions suffering from autoimmune diseases. Autoimmune diseases are a complicated category in medical terms. Dr. Sarah Ballantyne describes it as, “Autoimmune disease is caused by the immune system losing the ability to differentiate proteins belonging to your own body with proteins belonging to a foreign invader (like a bacteria, virus or parasite). What causes symptoms is the build up of damage to cells, tissues and/or organs in the body–damage caused by your own immune system attacking those cells.” Since each disease attacks different parts of the body, conventional medicine focuses on the symptoms rather than the underlying cause. For instance if you have celiac disease you see a gastroenterologist and if you have lupus you could see a dermatologist. Currently there are no medicine cures for these diseases, doctors can only prescribe temporary pain relief meds. Other autoimmune diseases include Graves’ disease, multiple sclerosis, psoriasis, Raynaud’s, rheumatoid arthritis, ulcerative colitis and many others. Close to 20 million Americans suffer from an autoimmune, almost eight percent of the population. Now experts are beginning to turn to diet and lifestyle factors to reduce symptoms and manage these diseases. Dr. Loren Cordain first conceived the Autoimmune Protocol, a special elimination diet/lifestyle carefully designed to manage things that may be triggering disease in the body. Then Dr. Sarah Ballantyne wrote the nitty-gritty how-to with all the research to back it up. Click here for a cliff notes version of Dr. Ballantyne’s book. Thousands are having life-changing success with this protocol. You can read some inspiring, transformative stories from Angie Alt, Eileen Laird and Mickey Trescott. The Autoimmune Protocol (AIP) involves a series of food eliminations and then has reintroductions. You begin by cutting out processed foods, grains, legumes, refined sugars and oils, and thickening agents like guar gum. Then for a minimum of 30 days you take out eggs, dairy, nuts, seeds, green beens, peas, alcohol, and fruit-bases and seed-based spices. After 30 days or longer, it’s ideal to wait until you see some health improvements, you begin introducing the second stage eliminations one at a time. So you’d just bring eggs back in for one week and evaluate how you feel and so on until you’ve tested each food. This is not a forever diet. It’s designed to show you the foods that may be triggering your pain symptoms. I’m sure you’re thinking, “that’s A LOT of eliminations! What CAN I eat?” Well that was my reaction too. But if you want to be feel better then you have to do the work. Sometimes taking a pill just isn’t going to cut it. The science it there to prove it. And sometimes it’s the combined effort of the medication, diet and lifestyle that leads to the best results. Going through AIP is a long, laborious process and you need a community to help. Dr. Sarah Ballantyne’s book and website, ThePaleoMom.com, are great starting places. Many others have created AIP devoted online communities with places to share struggles, find recipes and other resources. 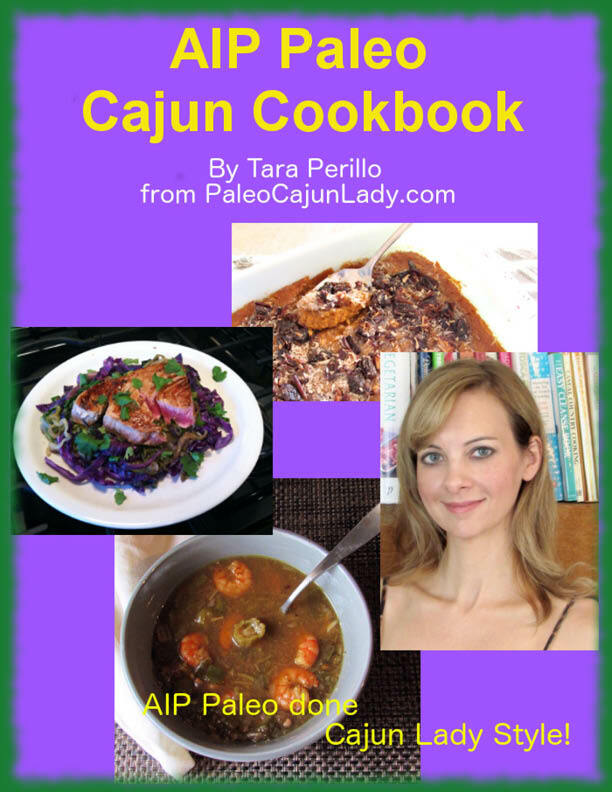 Tara Perillo is an excellent source for delicious recipes. 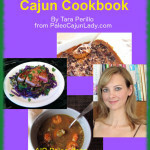 She creates zesty, flavorful dishes with a cajun flare that I absolutely love, since I grew up on shrimp and grits. If podcasts are your thing, listen in to Eileen Laird’s bi-weekly Phoenix Helix podcast for stories of AIP success and interviews with leading experts. I also like Autoimmune_Paleo.com, which is run by Angie Alt and Mickey Trescott. They are both consulting nutritionists, have created hundreds of yummy recipes and provide encouragement for everyone’s journey. Autoimmune diseases can be debilitating and conventional medicine may need to be combined with AIP and lifestyle changes to battle chronic illnesses. If you’re suffering from any of these, consider giving it a try. Your healing journey may take a turn for the best. Why is the Autoimmune Protocol better than other Healing Diets?